Midland Lubricants extensive Excavator Gear Oil range of products is blended meet virtually all engine lubrication requirements enabling excellent anti wear protection (Helical Gears, Gear Racks, Steering Racks) while still providing engine optimisation on an extremely wide range of equipment. Midlands Lubricants also supply SAE 90, SAE 140, EP80, EP90 and selected other Gear Oil. Midlands Lubricants provides a comprehensive range of high quality extreme pressure industrial gear oils meeting the requirements of major reduction gear manufacturer. Formulated from high viscosity index solvent refined mineral base oils, and incorporating additives that provide protection against extreme pressure, wear, corrosion, oxidation and foaming. 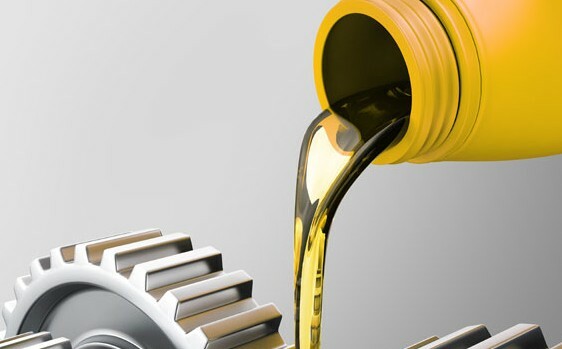 Gear Compound oils are used in heavy enclosed industrial gear drives containing spur, helical and bevel gears as well as spiral bevel and worm gears including those operating at high speeds or very high loads. They can also be used for chain drives, sprockets, plain and anti-friction bearings, guideways, flexible couplings, etc. In industrial plants where service conditions require the use of an EP gear lubricant, it meets the severe requirements of all gear drives, including those of steel rolling mills, cement mill gears, cranes and mining equipment. Midlands Lubricants Ltd supply companies and individuals alike with Transmission Fluid widely used in conjunction with Gear Oil applications (Spur Gears, Ground Gears, Worm Wheels, Pinions). Gear Oils (Flywheels, Chain Sprockets, Timing Pulleys) and Transmission Fluid also combats problems with gear selection and helps overheating problems. Midlands Lubricants Gear Oil is for sale, packaged and available in: 1000 Litre (IBC’s) 205 Litre (Barrels) 25 Litre (Drums) 5 Litre (Bottles). We understand the complexity of ensuring the Gear oil or Transmission fluid for your application so just send us a message and our technical team will get back to you promptly.